WASHINGTON: Abandoning his threat to immediately seal the southern border, President Donald Trump warned instead on Thursday that he’d slap tariffs on cars coming to the US from Mexico unless the Mexicans do more to stop the flow of migrants and drugs to the US. It was the latest, seemingly sudden attempt at new leverage by a president struggling to solve what his administration has called a border “crisis.” And it was a dramatic departure for Trump, who last week tweeted that he would close the border or large swathes of it this week unless Mexico immediately halted “ALL illegal immigration coming into the United States” — a seemingly impossible task. Trump had already appeared to be easing off his border threat earlier this week. Though he said Tuesday all options remained on the table, he shifted his goalposts, calling on Congress to pass immigration legislation to avert a closure and praising the Mexican government for doing more to apprehend migrants travelling through the country from Central America — though it’s unclear anything has changed. 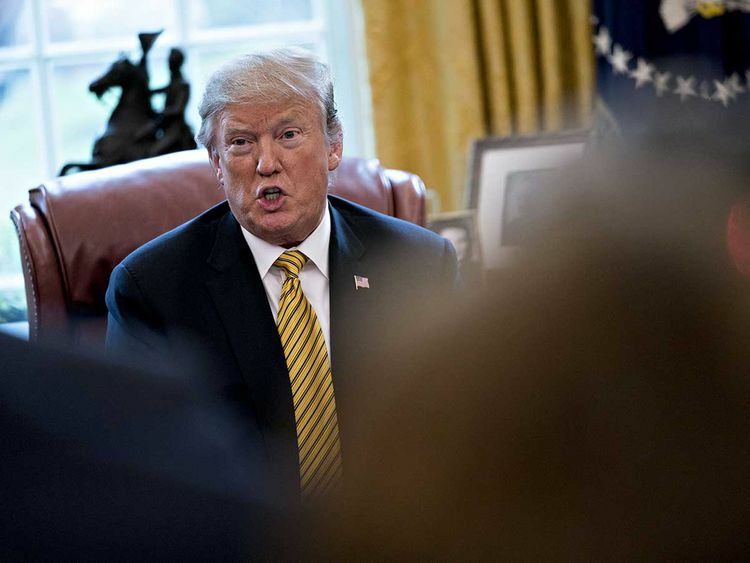 Trump has been increasingly exasperated at his inability to halt the swelling number of migrants entering the US, including thousands who have being released after arriving because border officials have no space for them. Arrests along the southern border have skyrocketed in recent months and border agents were on track to make 100,000 arrests or denials of entry in March, a 12-year high. More than half of those are families with children, who require extra care. House Speaker Nancy Pelosi said Thursday that Democrats would file a lawsuit aimed at preventing Trump from “stealing” billions from federal programmes and diverting the money to building barriers along the border.